1.This kinds of bow spring centralizer is made of high quality sheet steel using laser cutting. 2. Type PC bow spring centralizer consists of two shells and six bow springs with a special profile and section. 3.The bow spring centralizer type PC is fixed on casing string with special retaining screws. 4.Bow spring welded centralizer type PC is used for centralizing of casing strings during cementing. 5.Bow spring centralizer welded type is provided with just two welds with minimum load at the sheel. 6. 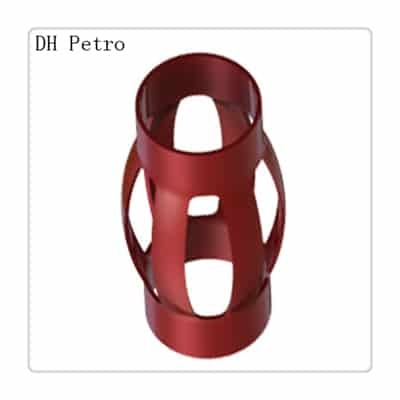 Centering planks of the bow centralizer have no welds and are made of solid steel sheet. 7. Uses of centralizers allows to achieve uniform clearance between casing pipe and wall well. 8. Centering of a casing string is provided with preset bow springs of a type PC centralizer. 9. They are available in 4 1/2″ to 20″ sizes.Any special sizes or combination can available on request. Bow spring centralizer is made of high quality sheet steel using laser cutting.